If they had their preference, most people would say they like certain things fast. Internet download speeds. TSA screening lines at the airports. And yes, even their job search process. If you share that preference, those things may never be as fast as you’d like. 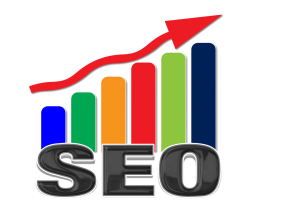 But there are many things you can do to speed up the job search process, and SEO (search engine optimization) is one of them. SEO helps your LinkedIn profile “rank higher” in search engine results like those from Google and even LinkedIn’s own search engine. If your profile isn’t optimized, it might get buried under pages of results and never be found by the potential employers you’d like to attract. Incorporate keywords- Just as you improve your odds of winning a charity drawing by buying more tickets, you’ll have better luck finding a new job quickly if you make sure your profile includes more of the right keywords. Think of keywords as being those words or phrases that a potential employer may enter when they perform a search. They will include relevant job titles, skills, certifications, and personality attributes that help define the person they’re looking for. How do you know what search terms someone else may use? You’ll never be absolutely certain, but you can gain important clues from job postings for positions similar to the one you hold, for example. Highlight all of the keywords in a similar job posting, and then challenge yourself to incorporate as many of those as you can into your job title, summary, and work experience sections… while still sounding natural, of course! If you’re looking to transition jobs emphasize the skills you want to use in your new position, and remove the ones you don’t want to focus on any longer. Get connected- The more people you are connected to, the more likely your name will come up toward the top of the list on a hiring manager’s LinkedIn search. This can significantly increase your odds of being considered for a position (possibly one you didn’t even know about! ), and decrease the time you spend on a job search. How many connections do you need? Ideally, more than 500. But if you’re below that, set your sights on adding 5-10 connections per week. Capture attention- If you want to rank highly in search engine results, and shorten your job search, you’ll need an active presence on LinkedIn. Set aside time every week to share content with your network, comment or offer advice in your groups, and contribute useful knowledge through long-form (i.e., blog-style) posts. This will help you expand your list of contacts and give you more SEO “hits” through the keywords in your posts. Implementing these tips can have a huge impact on your profile’s SEO… and can help you land your ideal job faster. “Kristin Johnson from Wisconsin,” founder of Profession Direction Career Services, is a 7-times certified, award-winning resume writer and career coach. She works with aspiring professionals to land their ideal job faster. Success stories, resumes, LinkedIn® profiles, and presentations at ProfessionDirection.com.